When you think of the term erosion, you probably associate it with soil as it is washed away by water over time. 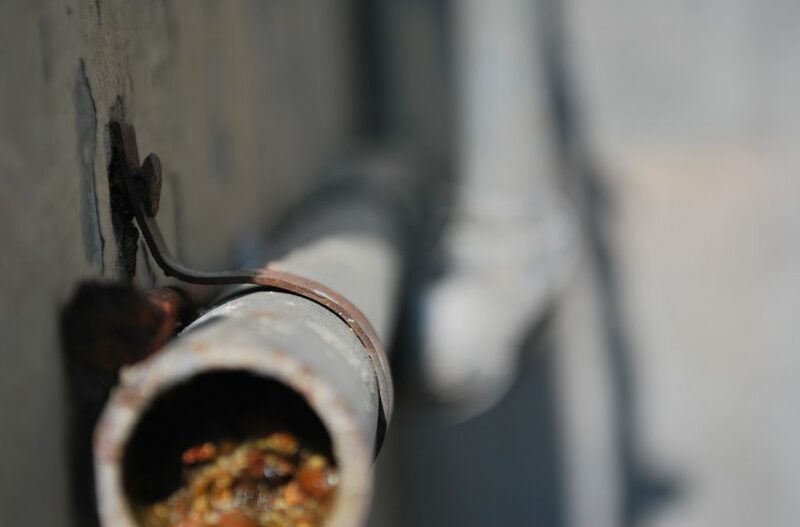 Your plumbing pipes can also succumb to erosion of the metal as it thins and develops holes and cracks over time due to a variety of factors. Pipe erosion-corrosion is quite common. This type of pipe deterioration usually occurs over time due to the materials of the pipe, the acidity of the water, the temperature of the fluid flowing through the pipe and the velocity and pressure of the fluid. 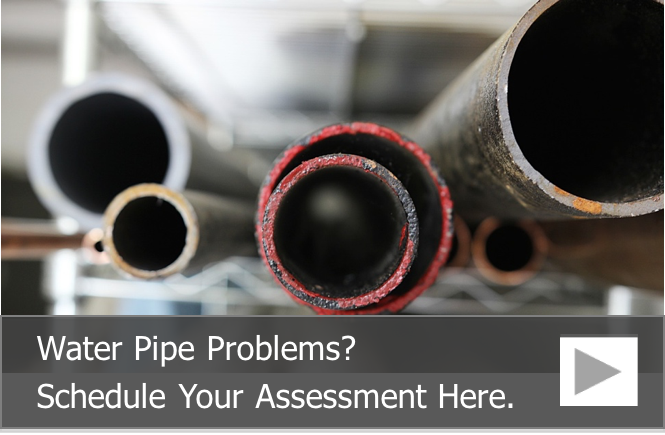 Regular plumbing pipe assessments and inspections can help detect pipe erosion before it causes catastrophic pipe failures. The material of the pipe can be a huge factor when it comes to pipe erosion. Metal pipes, especially cast iron and steel, can rust over time. Galvanized steel can develop corrosion, which can both narrow the internal diameter of the pipe and lead to pinhole leaks. Copper pipes can wear down over time, especially at the seams and joints, leading to progressively larger leaks until the pipe completely fails. Visually inspecting older metal plumbing pipes can help detect corrosion. If you see a white powdery substance or discoloration of the pipe, it’s probably corroded and needs to be either replaced or restore via pipe lining. The chemical makeup of the water can have a negative effect on your plumbing pipes. Highly acidic water can eat away at metal surfaces and contribute to chemical leaching in both metal and plastic pipes. Having your water tested and your plumbing pipes inspected can catch this type of wear and tear early so that you can have the affected pipes replaced or rehabilitated. High heats can also contribute to pipe erosion. This type of erosion is more common in hot water and steam lines than in cold water lines, especially if the water or steam is traveling at a high rate of speed. In this situation, erosion occurs first in the elbows and seams. Regular pipe inspections can help detect erosion so that you can replace or restore your plumbing pipes before they fail. When water travels at a high velocity, especially when there is a lot of water pressure, it can accelerate the erosion of the walls of the pipe. This occurs because the dissolved solids in the water can have a micro-sandpaper affect on the pipes, slowly scraping away at the inside walls until pinhole leaks and cracks form. In some instances, the plumber may install different types of metal pipes in the same plumbing system. For example, the plumbing contractor may install steel or cast iron plumbing main lines and copper lines on the inside of the house or commercial building. In this instance, dielectric unions must be fitted between the dissimilar metals to prevent the less noble metal from experiencing premature corrosion-erosion. When it comes to metal pipes, including copper, one of the ways you can prevent erosion of the metal walls is by lining the inside with an epoxy liner or an epoxy coating. This prevents water from coming into contact with the metal surface, which prevents erosion and corrosion of the pipe material while extending the useful life of your potable water pipes and drain lines. This process is fast, affordable when compared to pipe replacement and results in pipes that are just as durable and long-lasting as a new plumbing pipe. To learn more about our pipe lining and pipe coating services in Chicago, call us at 815-790-9000.